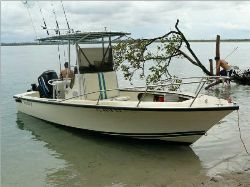 The 20' CC is a favorite of the avid fisherman with it's huge aft cockpit and ability to walk all around the boat while reeling in that big fish! Purchased from the original owner in 1989, Ken totally gutted and rebuilt her in 1991/92 adding his touches of customization. The addition of his tall tower gives him the advantage against his fishing buddies. NoBones is most happy when she's finding bugs in the keys or chasing Cobia on Manta Rays off Daytona. So well loved, she even has her own split-faced concrete house! This original 1970 classic found me one day in 2006 as I was just stomping thru the marinas. Spotted from a distance, I knew it was an old Moesly classic and just had to have it! My buddy rode the classic back to our dock as I took my almost new Triumph 195 with 150 Yamaha. As we hit the confusion boat wakes, I had to back off on the Triumph as she was shaking & pounding...yet the SeaCraft just kept on trucking. She definitely proved herself over the boat I had spent 10 times the amount for. The following week, I sold the Triumph. I have no intention of changing or upgrading anything, she's perfect just as she is. 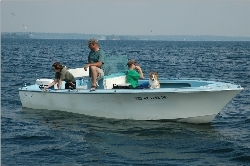 She was a gift from his Dad and is used primarily for fishing. 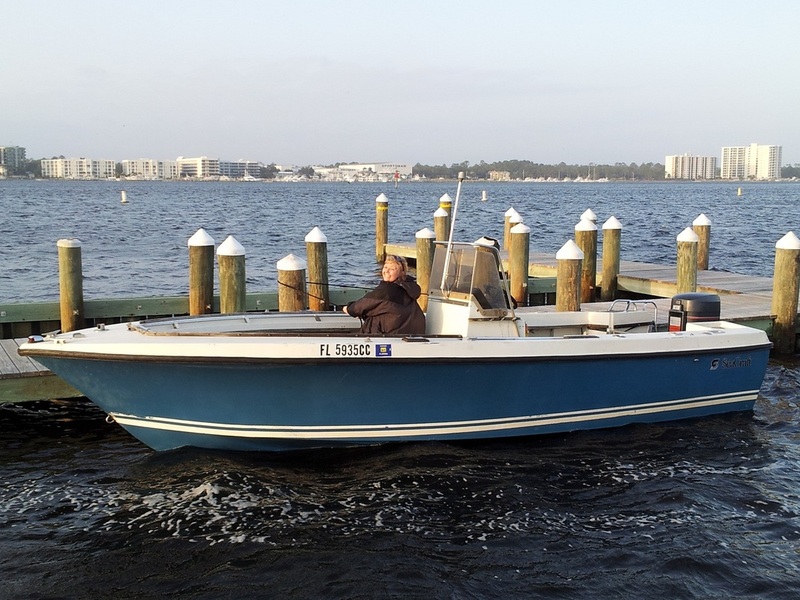 Powered by a 2004 Merc, 150 Saltwater, 2-stroke and will get in excess of 36 knots. 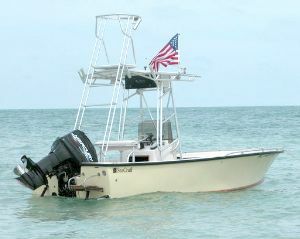 Modifications have been new Kodiak Livewell, guages, T-top, & Rocket Launcher. "Truly, it's the best riding 20 I've ever been on and I plan to keep her forever ... after experiencing this Moesly designed craft." Found the boat in South Florida, in a car lot, of all places. She was a total wreck, but something about her caught my attention. Spent 4 months doing a complete refit and hung a Yamaha 130 on the transom. 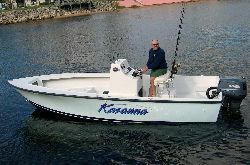 With top speed of 43 knots I can get anywhere in good time... and once there, enjoy this true fishing machine. Bill Money our 1979 Scepter ( patiently waiting for its turn for rebuild ) they both reside in Alabama. Have a 20' cc ??? ?